When you are looking for a REALTOR® you want someone who has tons of practical experience buying and selling homes. You want someone who has seen every real estate horror story in the book, and knows how to deal with them legally and in a way that most benefits you, the client. 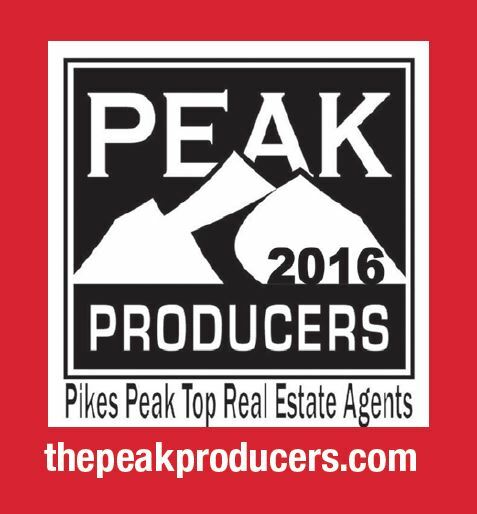 If you want someone who is a force to be reckoned with, look no further than the Pikes Peak Area Peak Producers! Peak Producers are made up of 100 licensed REALTORS® who are in the top 10% of their peers in terms of home sales, and are committed to giving back to their communities. These are the real estate honor students, so to speak. These REALTORS® bought and sold more homes in the previous year than their colleagues, by a lot! A willingness and desire to share their networking skills, experience, and Real Estate knowledge to raise the level of professionalism within the Pikes Peak Association of REALTORS®. Total active agents in PPAR as of 12/31/15 were 2,981 . The Peak Producers were chosen from this pool of over 2,900 agents. The top 10% of Agents closed 14,198 transaction sides, or 45.7% of the total. The remaining 90% of Agents closed 16,889 transaction sides, or 54.3% of the total. Not counting team members, this year’s Peak Producers closed 4,703 transaction sides last year, or 15% of the total! The top 10% of Agents closed 8 times more transactions than the remaining 90%, having averaged 48 transaction sides in 2015 compared to 6 for the other agents. The average number of transaction sides closed for all agents last year in the PPMLS was 10. Not counting team members, this year’s Peak Producers averaged 47 transaction sides last year! 1,323 agents, or 44% of the agents in the PPMLS, closed 3 deals or less last year. 820 of them, or 28% of the agents, closed 1transaction; while 394 of them, or 13% of the total agents, did not close any transactions. 299 agents qualified for the top 10%, with each one closing a minimum of 27 transactions. At Action Team Realty, Todd Hawker has been a Peak Producer for the last 4 years running! By the looks of this year’s sales thus far, he’s on the road to making the list next year as well. When Todd gets a new home to sell he goes above and beyond for his clients, reaching ou t to his own vast list of contacts and buyers for people whom he feels may be interested in the home. He also works with the client to price their home competitively and create beautiful, professional marketing materials which are posted as soon as possible across multiple real estate marketing and social media websites. Todd isn’t a Peak Producer by mistake. He is knowledgeable, he has a fantastic work ethic, is a terrific negotiator, stays on top of communication, knows the business and the market, and is just a pleasant person to work with! If you are currently on the market for a real estate agent, and would like to speak with Todd about your options, give him a call or text today at (719) 492-4580. You can also reach Todd through email at Todd@ActionTeamColoradoSprings.com.